The Partners in Flight (PIF) initiative has accomplished much since the original MOU was signed in 1990. None of these accomplishments could have been done by any single agency or organization. Prioritization Tools. PIF has developed and maintained a unique conservation assessment process using six criteria that provides a method for understanding which species need conservation attention. Newly developed tools and information also provide better insight into where conservation actions can have the most impact to reverse population trends. The conservation assessment process has been expanded to include bird species other than landbirds as well as birds in Mexico and Central and South America. 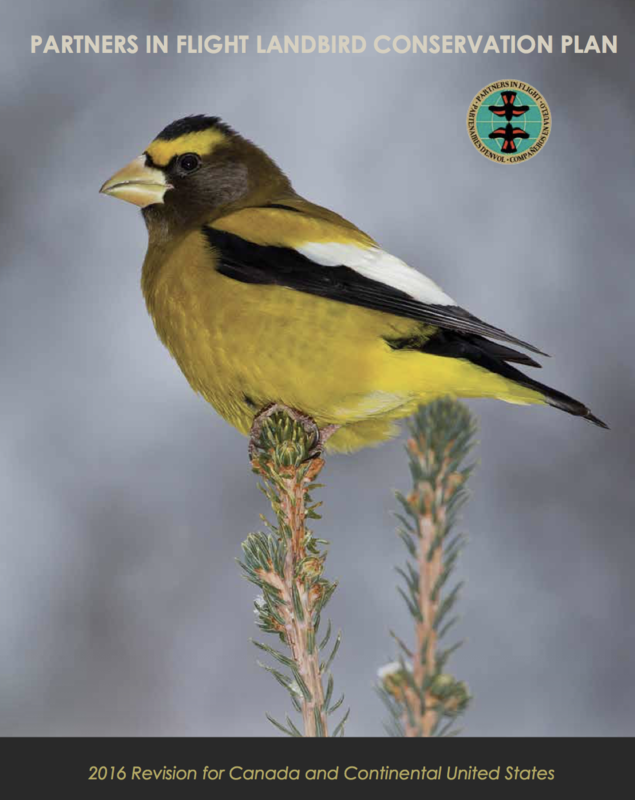 The Avian Conservation Assessment Database (ACAD) is housed at the Bird Conservancy of the Rockies and serves as the fundamental science tool for landbird conservation. Cutting-edge Science. PIF’s International Science Committee represents a team of landbird experts in the United States, Canada and Mexico. The team has spearheaded the development of a wide array of written bird conservation plans at continental, regional, and state scales. These plans include decision support tools, mapping and modeling products for conservation design of large landscapes, protocols and databases for bird monitoring to evaluate success, and continuous technical support for bird conservation implementation at all levels. International Migratory Bird Day. PIF led the effort to create and lead the annual implementation of International Migratory Bird Day (IMBD) as the widest reaching communications tool for migratory bird conservation throughout the Western Hemisphere. Migratory Bird Joint Ventures. PIF, along with many other partners such as state and federal governments, NGOs and others, was significantly involved with the expansion of Migratory Bird Joint Ventures to fully cover the United States, including the birth and official recognition of new JVs in regions with a focus on landbirds and terrestrial habitat conservation. Federal Government Program Enhancement. PIF has led efforts for stronger bird conservation programs within federal governments, including growth in the Canadian Wildlife Service and U.S. Fish and Wildlife Service programs. The latter now hosts the U.S. Coordinator for PIF as well as regional migratory bird coordinators and programs to implement bird conservation objectives. These programs include a Focal Species initiative that implements conservation plans for priority habitats needing conservation attention. Other U.S. federal agencies, such as the Forest Service and Bureau of Land Management, use PIF generated data and conservation assessments to guide planning and habitat management decisions. State Agency Actions. PIF inspired stronger bird conservation programs within state agencies; PIF was instrumental in the creation of state bird biologist positions in many state wildlife agencies and has been a strong voice in the development of the State Wildlife Grants Program, Teaming with Wildlife Initiative, and accompanying State Wildlife Action Plans. These plans charge each state with the conservation of bird species of greatest conservation need, derived in part from PIF priorities and data. International Network. PIF built an international network of hundreds of partner organizations and individuals throughout the Western Hemisphere interested in all aspects of bird conservation, from science and research, planning, policy development, land management, monitoring, and education. The structure of Partners in Flight is such that people ranging from local interest to state to regional to national and international interests have a chance to interact and learn from one another on various scales.